I put my blog on hold this past week as Peggy and I, along with our friends Ken and Leslie Lake, visited Las Vegas to celebrate Leslie and my birthdays, which are both the first week in March. We’ve been celebrating together for 13 years and try to go somewhere different each time. I know I’ve put off a few promised blogs, but hopefully you will find the detour worthwhile! The vast majority of visitors flock to Las Vegas for its renowned shows, fine dining, glitter and gambling. (Nevada prefers ‘gaming,’ but hey, if it looks like a duck, walks like a duck and quacks like a duck…) Few come to enjoy the natural beauty of the area— or are even aware of it, which is too bad. Some of the nation’s best desert scenery is within easy driving distance. A day’s trip can take you through Death Valley. 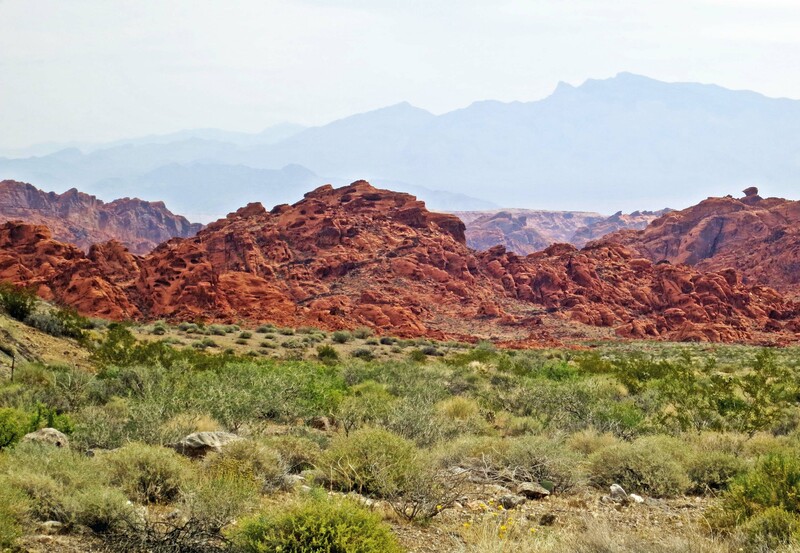 A half-day will provide an overview of the Valley of Fire. And a couple of hours will introduce you to Red Rock Canyon. Peggy and I always try to visit at least one of these areas when we are near Vegas. 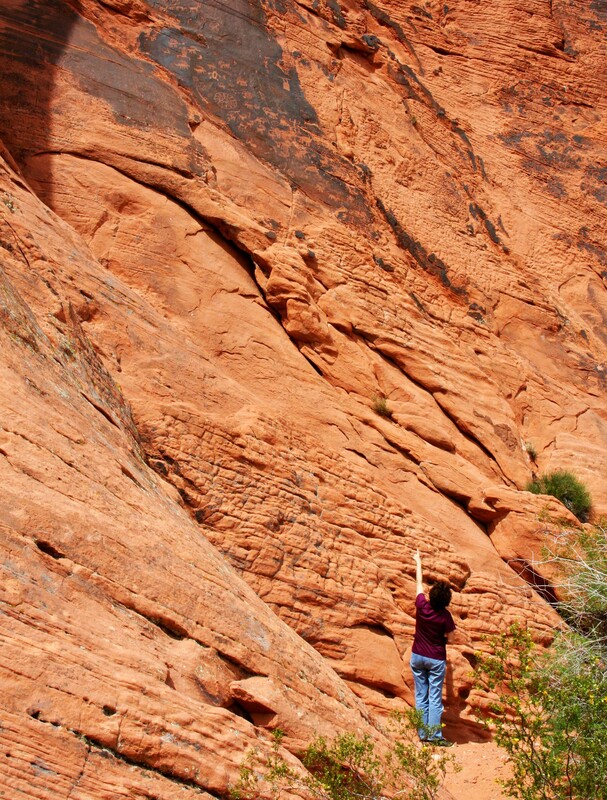 This time we worked in the Valley of Fire and Red Rock Canyon. In fact, Red Rock Canyon was 15 minutes away from where we were staying. I’ve blogged about these parks before, but they are always worth blogging about again. And again. 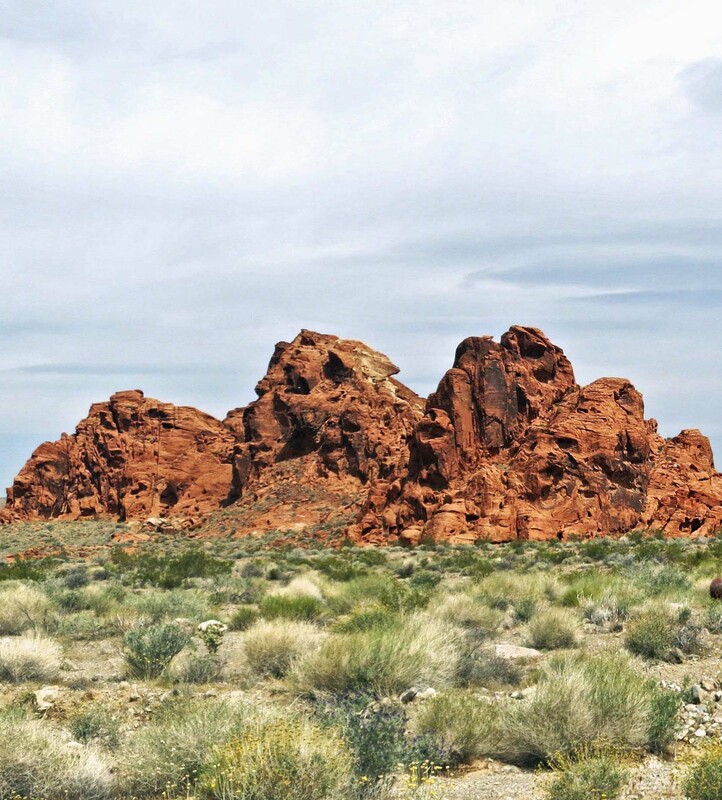 Today I will feature our visit to the Valley of Fire State Park, which is located about 50-miles northeast of Las Vegas off of Interstate 15. 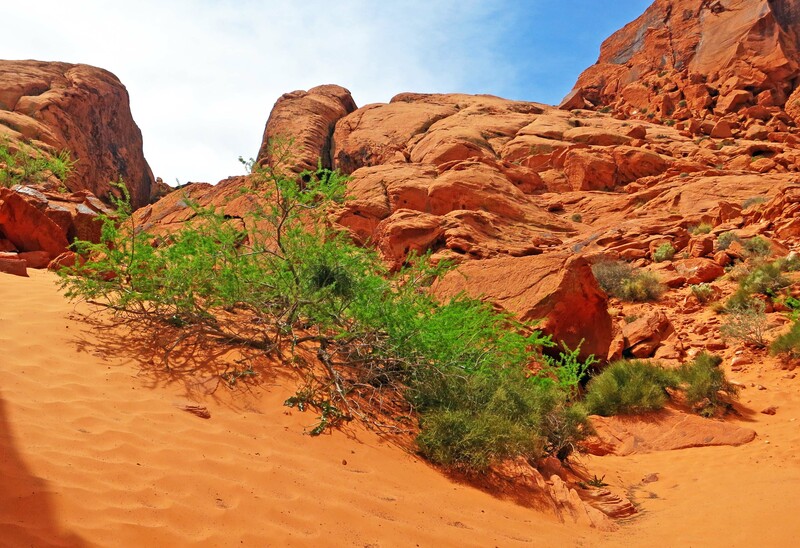 The park takes its name from red sandstone that can turn a fiery red in sunlight. The sandstone was laid down by sand dunes some 150 million years ago. 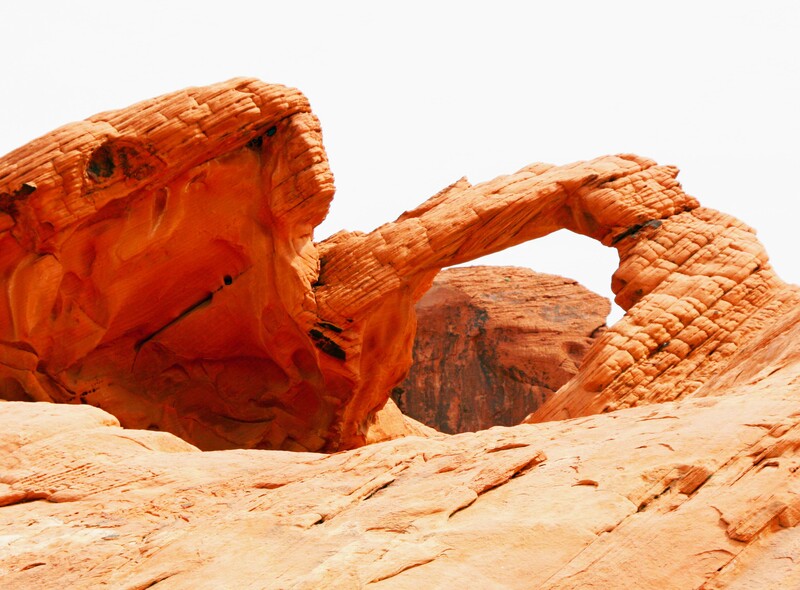 Geological forces have turned the region into a magical kingdom of rock forms. 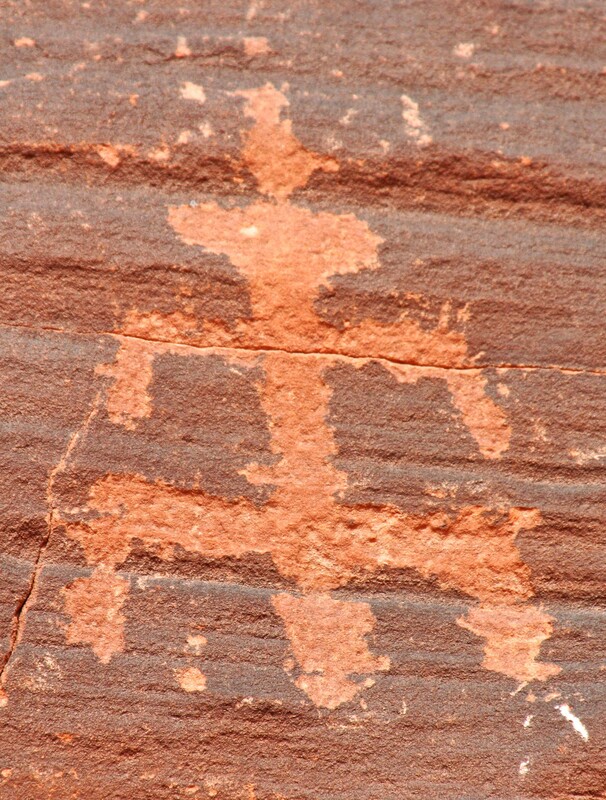 There are also several petroglyph sites left behind by the ancient Anasazi between 300 BC and 1150 AD. 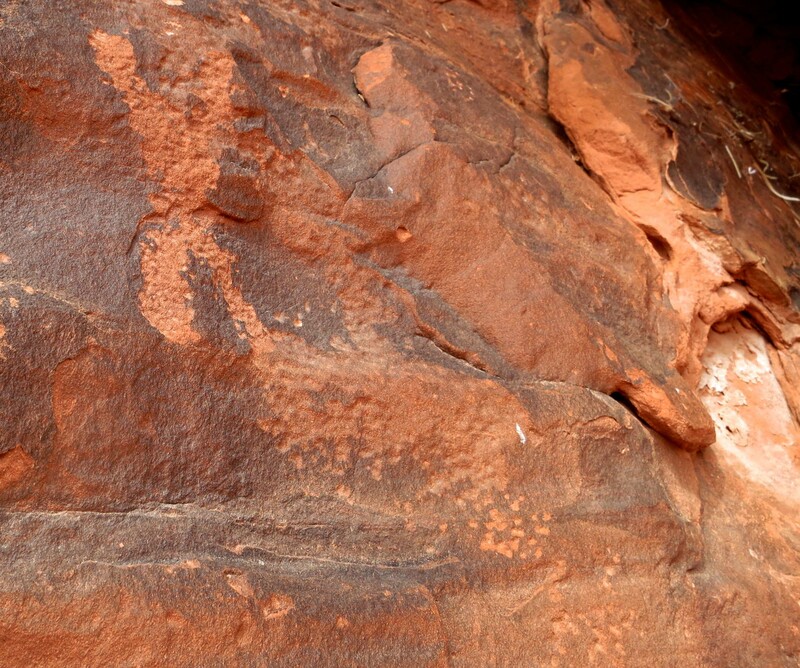 As a result of the natural beauty, interesting rock forms, and native rock art, our cameras were busy the whole trip. Following are some of the results. To allow for more photos, I am going to break this post into three parts: views along the main road, the Atlatl Rock area, and the White Domes area. 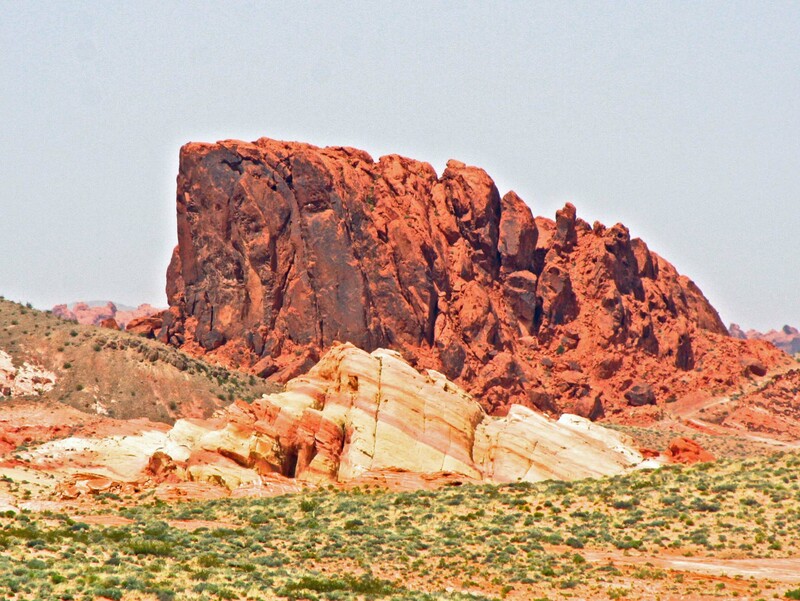 Your first view of the red sandstone rocks provides a preview of what is to come. The main road drops quickly into the park. I liked the more rounded look here set off by the green vegetation. Note the hole in the sandstone. 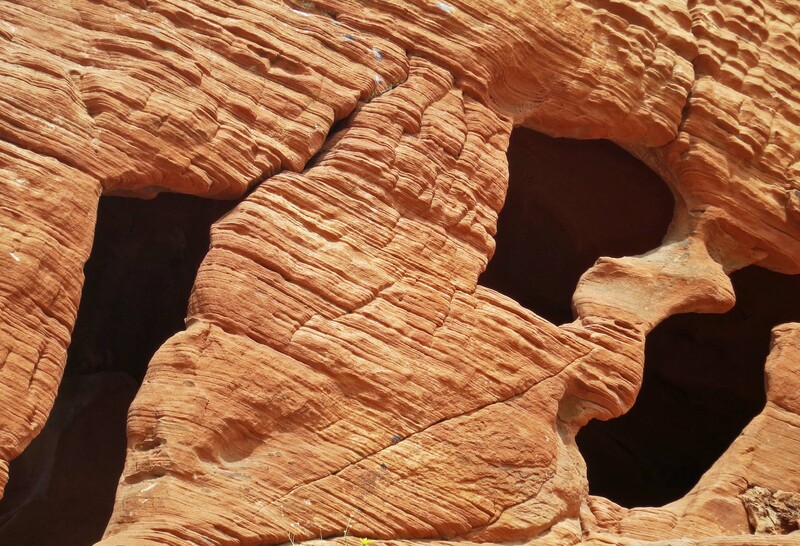 Holes in sandstone are quite common. Some are large enough to crawl into. 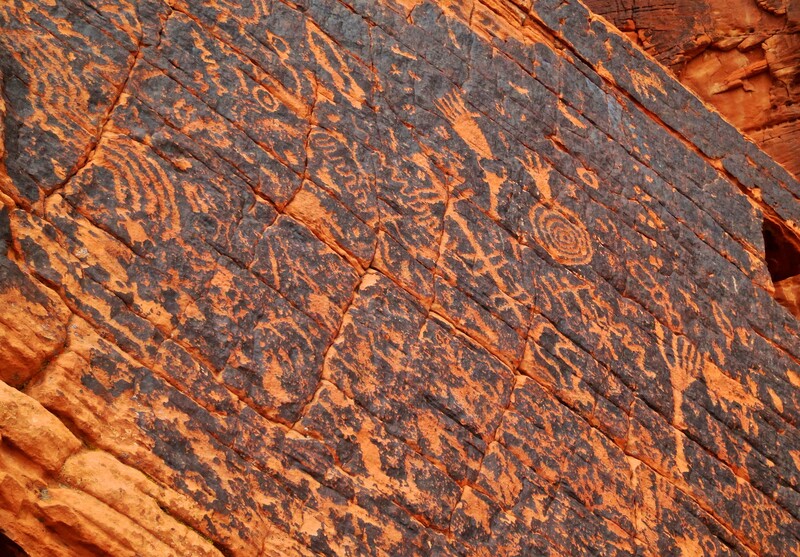 The Beehive is one of the Valley of Fire’s best known rock sculptures. Looking up at the Beehive provides a close up of the unique erosion. A number of other rock sculptures are located near the Beehive including the balanced rock featured at the beginning of the post and this mouthy fellow. Peggy and I often see faces in the rocks. Does this make us strange? Chuck, the chuckwalla, was quite curious about why we were wandering around his rock pile. Meet Chuck. 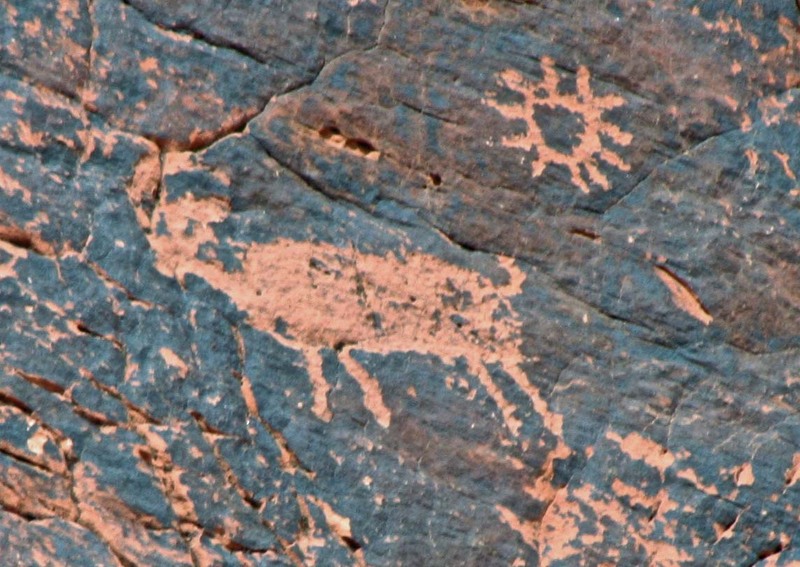 Peggy and I discovered him as we were hiking around in the rocks looking for petroglyphs at the Valley of Fire State Park. I can’t say he was friendly, but he certainly wasn’t scared. Mainly he was curious. I was almost on top of him before he crawled into a shadowy crevice. 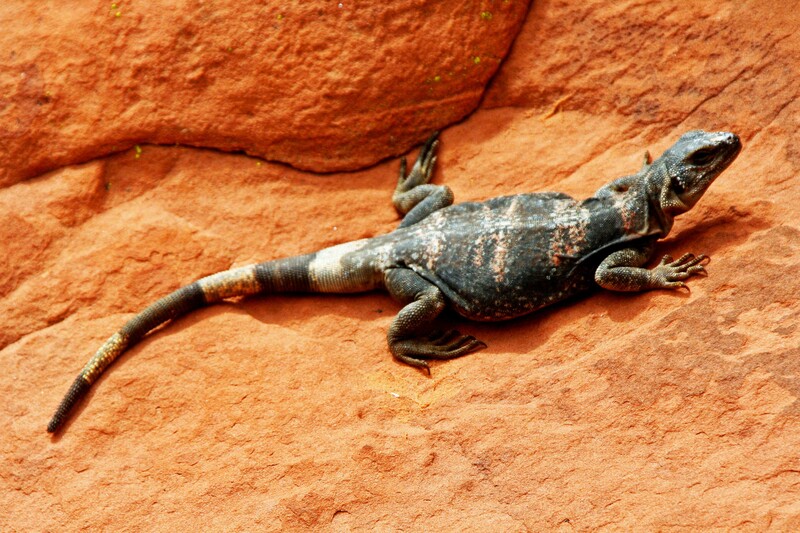 Chuckwallas are rather impressive members of the lizard family that can grow up to 16 inches in length. Their primarily vegetarian diet apparently serves them well. (Not that they are above scarfing down an occasional insect.) They are found throughout the deserts of the Southwest. They hide in cracks when being chased and puff up their bodies so whatever is chasing them can’t yank them out. Most predators depart with little more than a bony lizard tail for dinner. 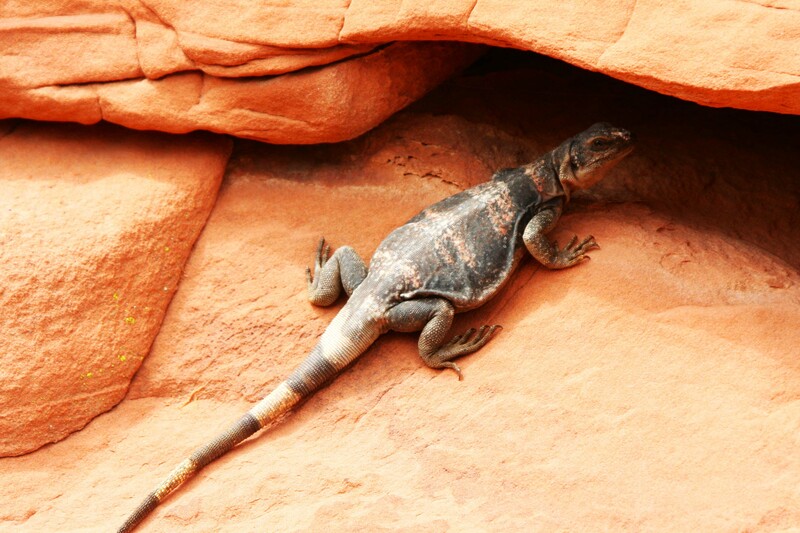 The chuckwalla is then free to go on its way and grow a new one. Having tired of me snapping photos, Chuck heads into a crevice. He is still keeping a curious eye on me, though. Note the loose skin– just waiting to be puffed out. 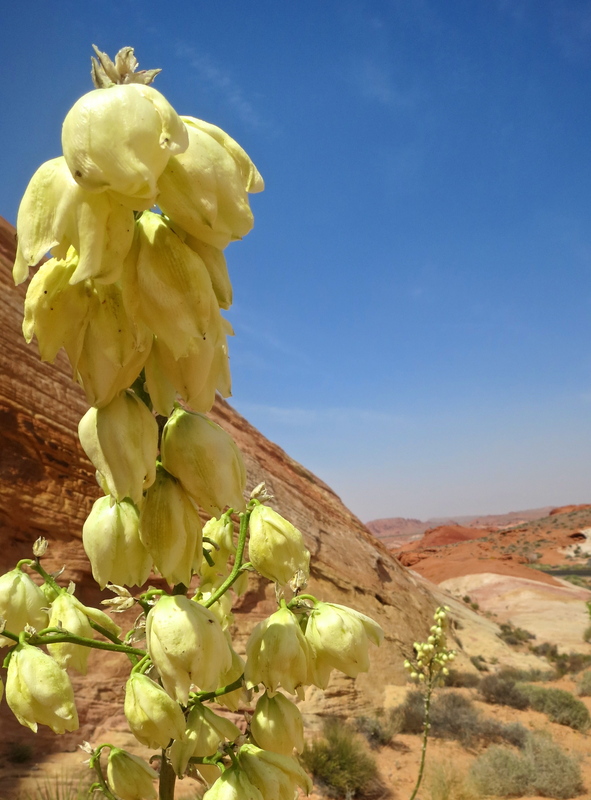 As I mentioned in my last blog, plants have done a remarkable job of adapting to desert life. Dilly-dallying is not an option when rain falls. 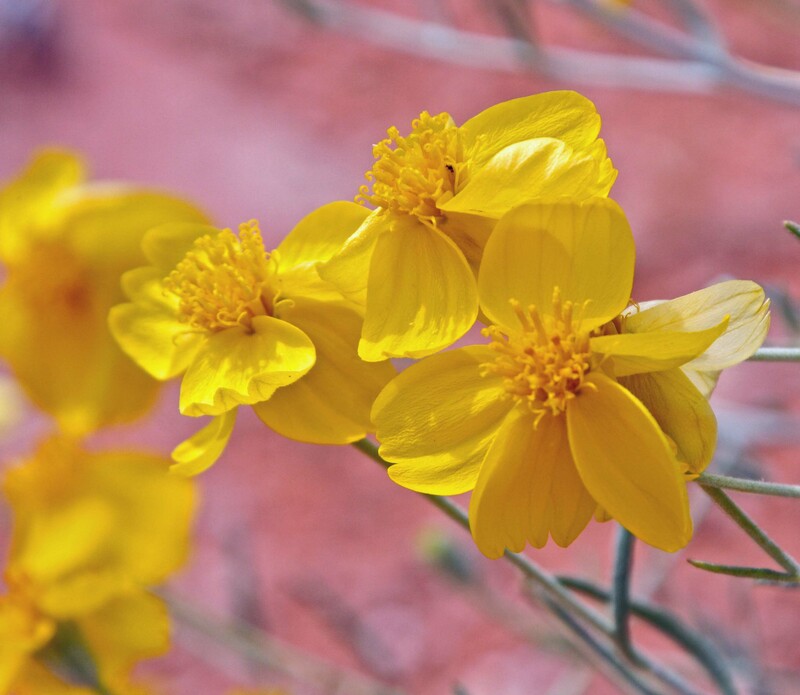 Annual desert plants can grow, bloom, and produce seeds in a few short weeks. The seeds then wait a year, or longer, for the next rain to come along. 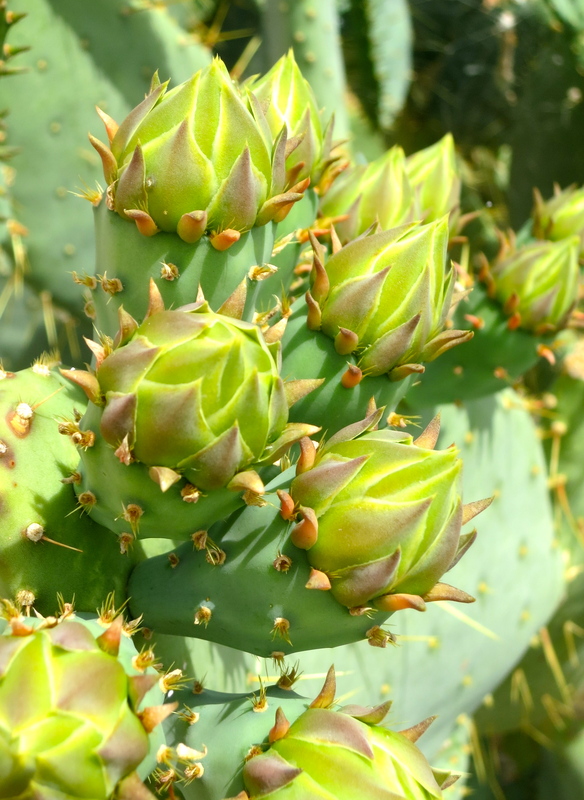 Others, like cacti, slurp up and store enormous amount of water for later use. Some plants have deep roots to gather water and tiny leaves to prevent its loss. 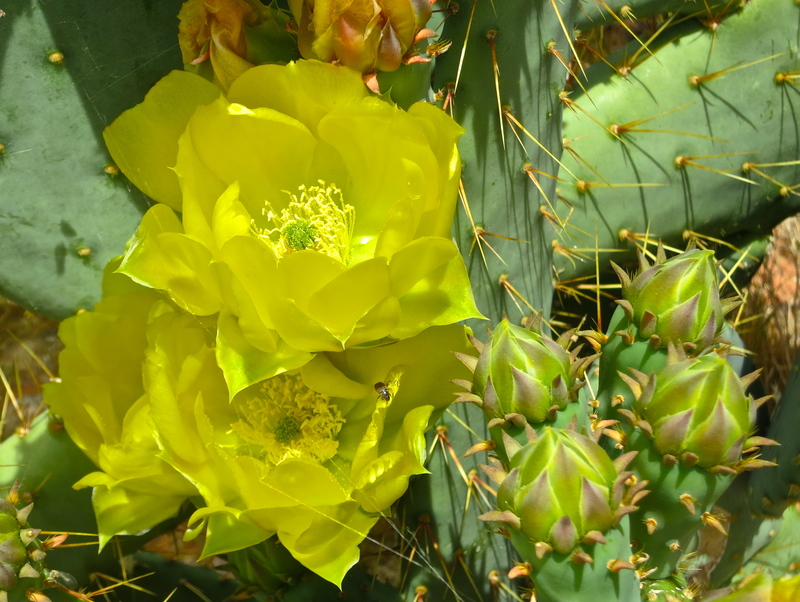 Desert plants have adapted well to their environment. I really like the touch of green here. I thought this dead bush spoke to the harsh living conditions found in the desert. I also thought it made a great subject for my camera. Yucca plants have a two tier root system. 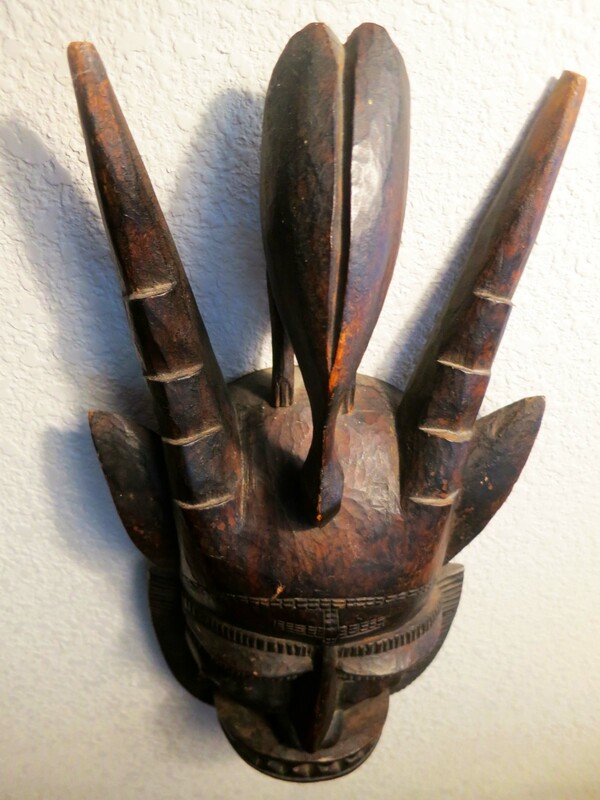 One shoots out laterally from the plant and is designed to capture rain when it falls. 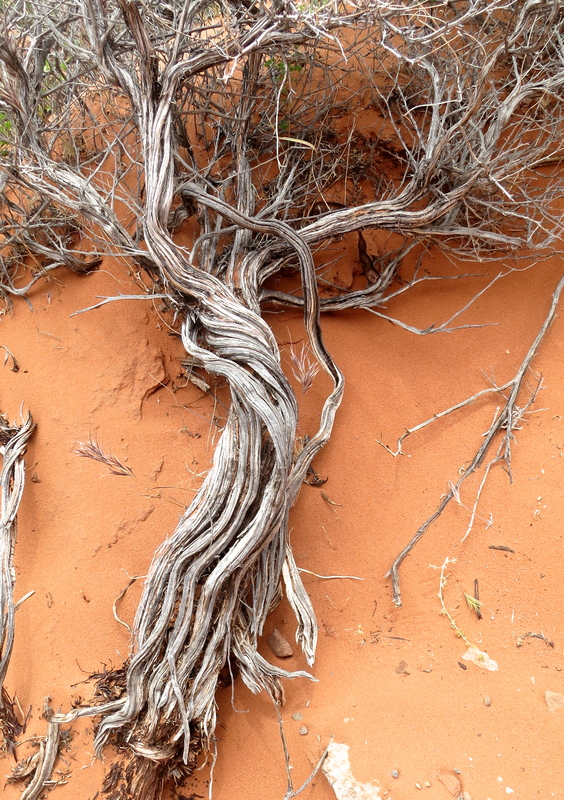 The other is a deep tap-root designed to reach water during dry times. A close up of the yucca’s flowers. 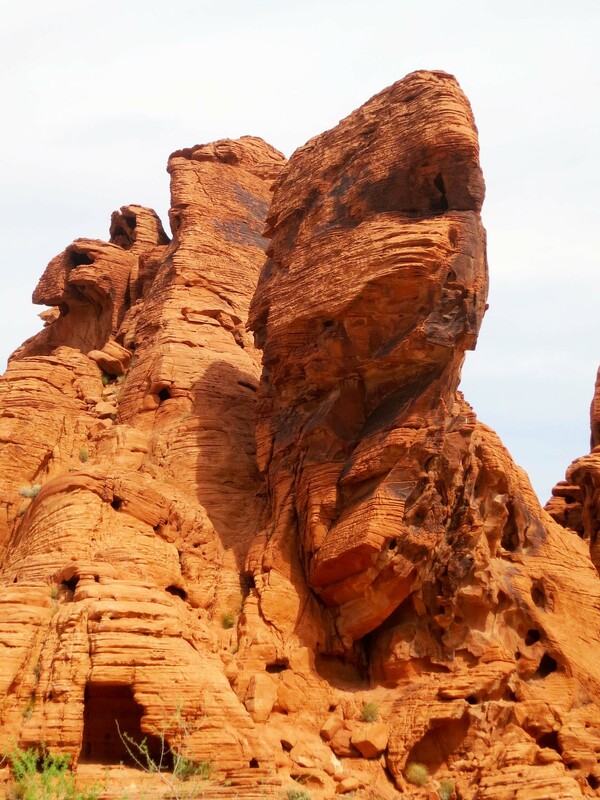 The primary reason for visiting the Valley of Fire is its magnificent rocks, however. I presented several photos in my last blog. Here are more. 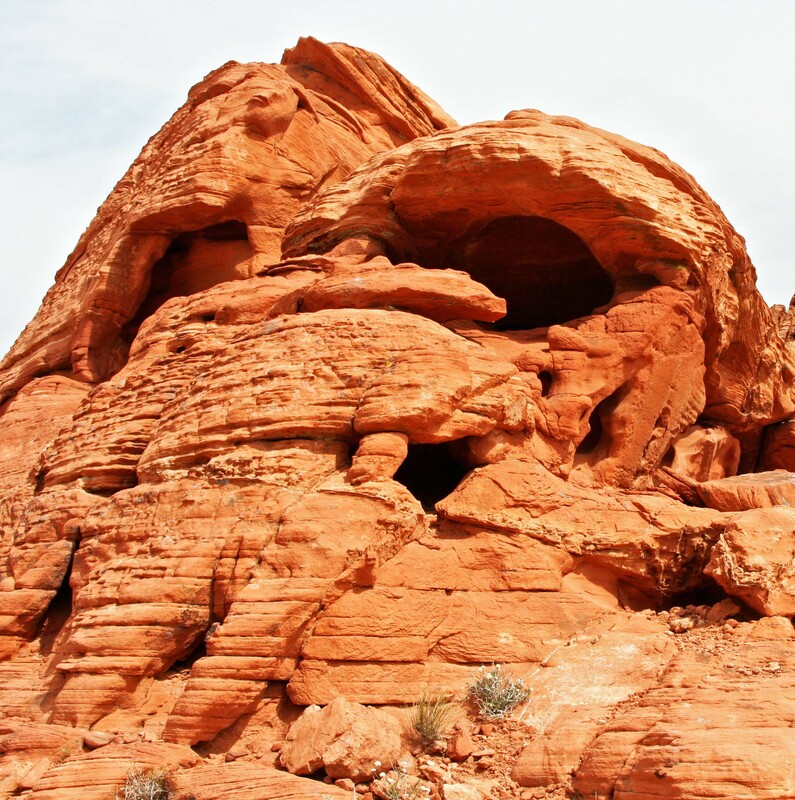 The sandstone formations found in the Valley of Fire are close to pure silica. 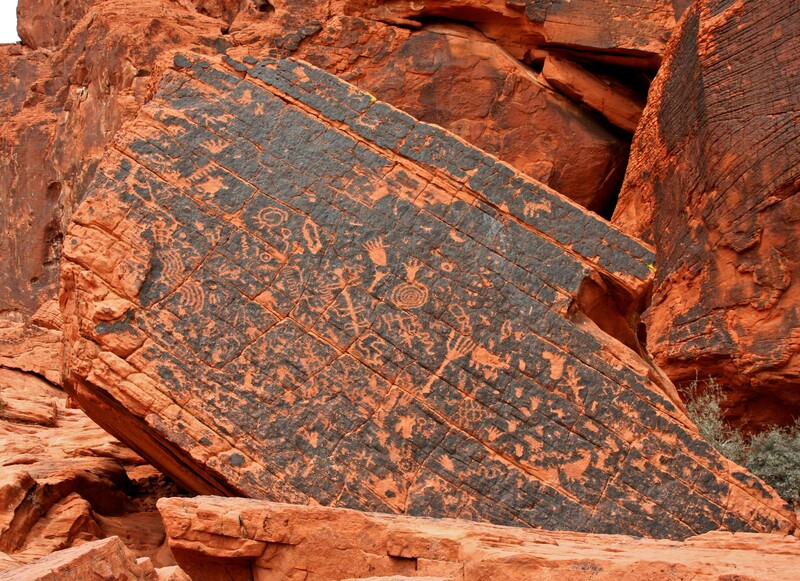 The difference between the tan and red rock is that a small amount of iron has produced a rust-like stain. White Dome and companion peak. 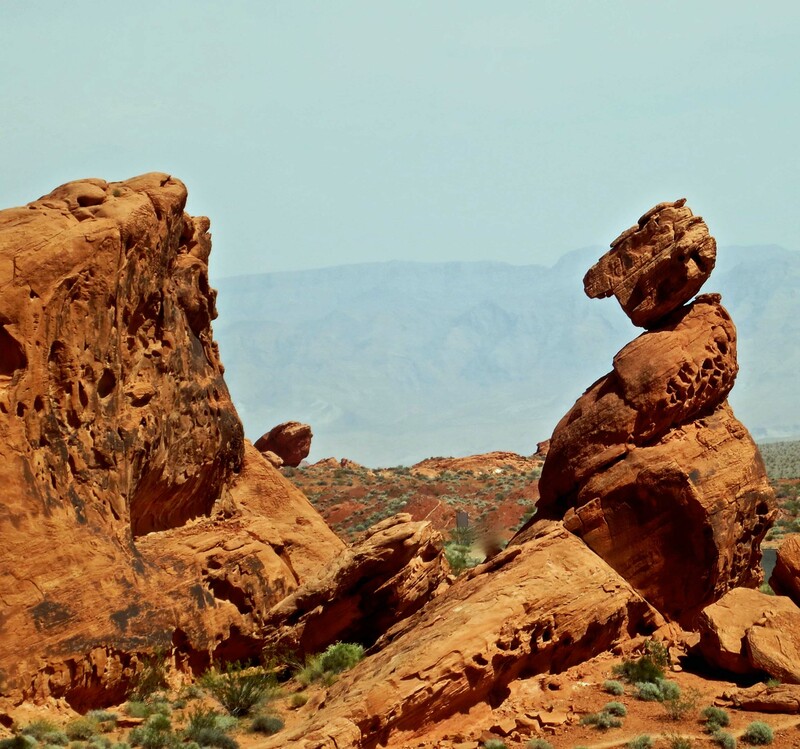 Balanced Rock. How does it do it? 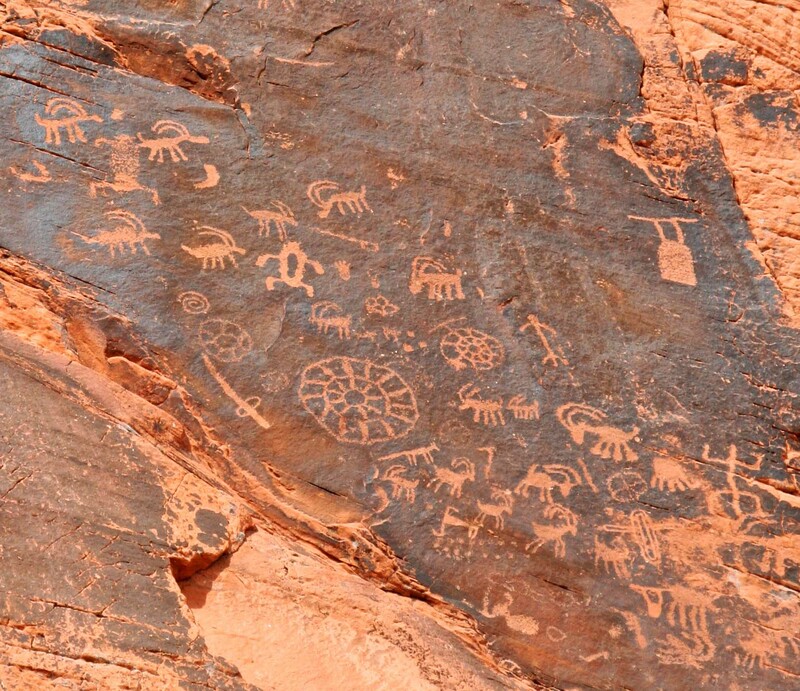 This rock in the Valley of Fire State Park is appropriately named the Beehive. A final view of the beauty. 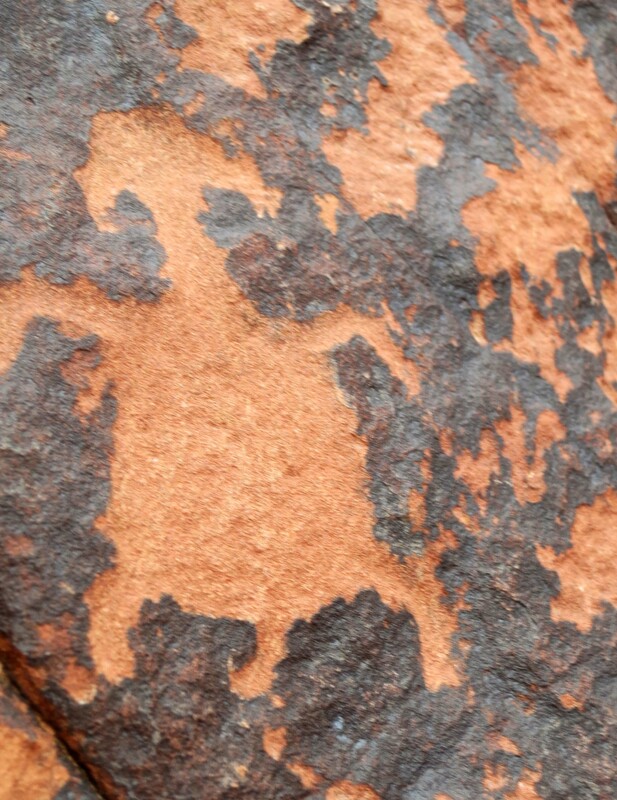 NEXT BLOG: The ancient Native America rock art found in the Valley of Fire State Park. Traveling through deserts, you occasionally have the feeling that you can see forever as range after range of mountains disappear into the distance. Deserts are known for their minimal water, fiery temperatures and vast open spaces. Most people believe they are best seen while travelling at 70 plus miles per hour on a modern freeway with the air conditioning cranked up high. It’s unfortunate. Deserts can be places of rare beauty. Mountains and rock formations burst into riotous colors at sunrise and sunset. Spring rains bring carpets of wildflowers. Even the open spaces have a unique appeal. At times you feel you can see forever. Deserts also have a fascinating story to tell. 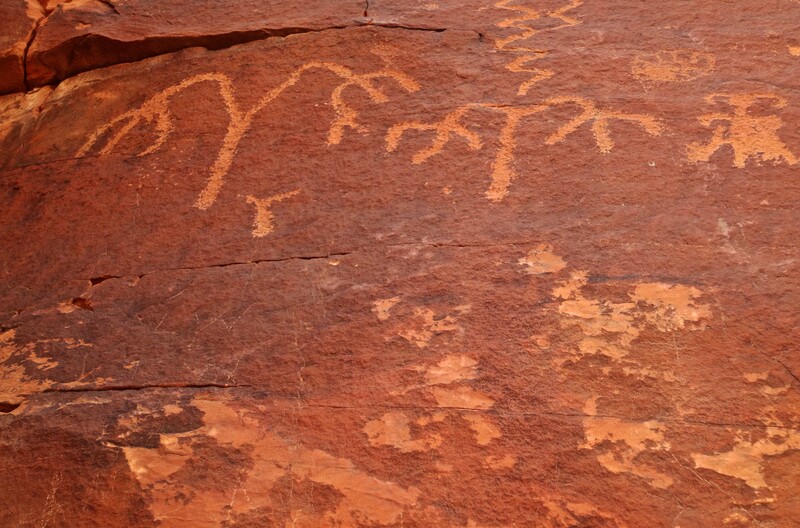 Ancient petroglyphs whisper of human occupation dating back thousands of years. 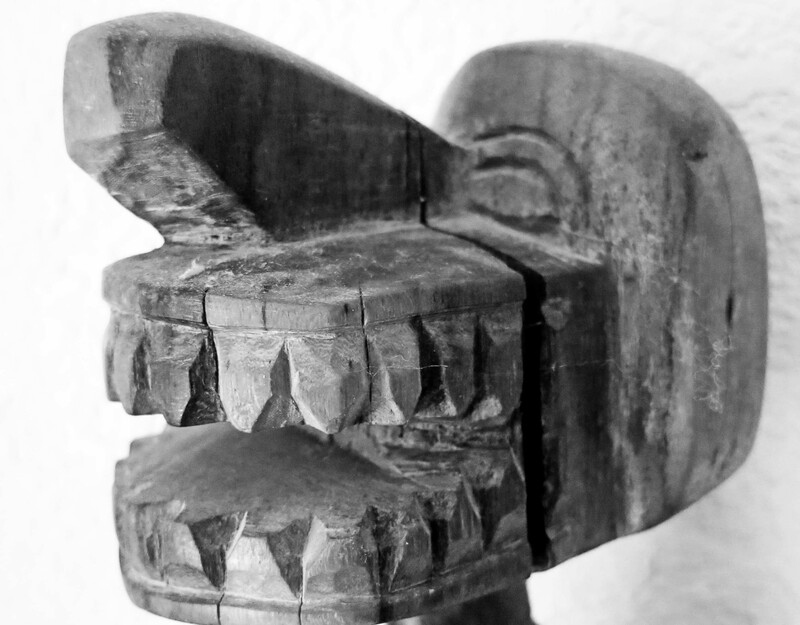 Geology is up front and personal– what you see is what you get. And plants and animals demonstrate the amazing ability of nature to adapt, and even thrive, under extreme conditions. 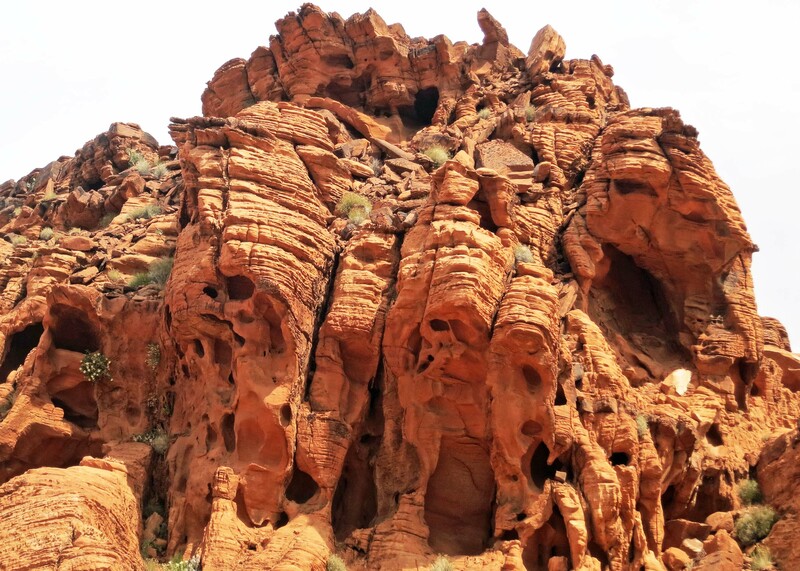 Over the next three weeks I’ll be blogging about three desert areas that Peggy and I recently visited: the Valley of Fire, Red Rock Canyon and Death Valley. 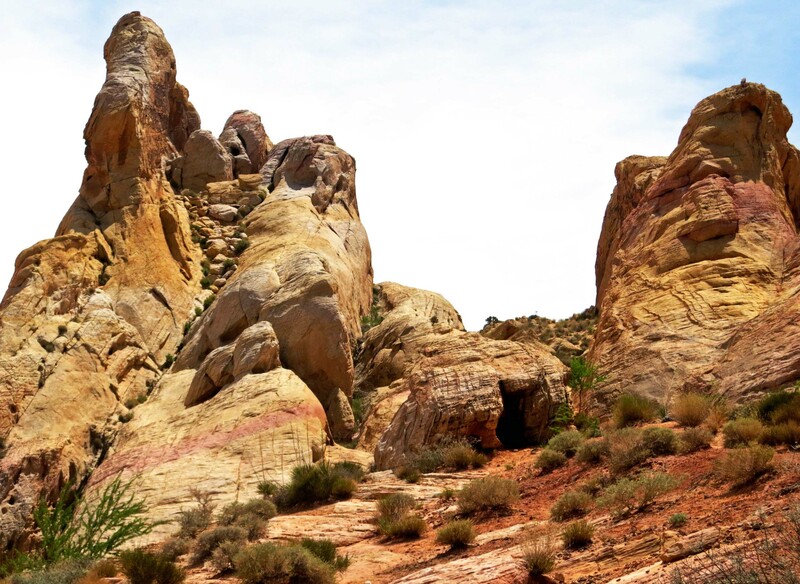 All three are an easy day trip outside of Las Vegas, Nevada and all three are definitely worth a visit. Spring and fall are the best times to go. First up: Valley of Fire. 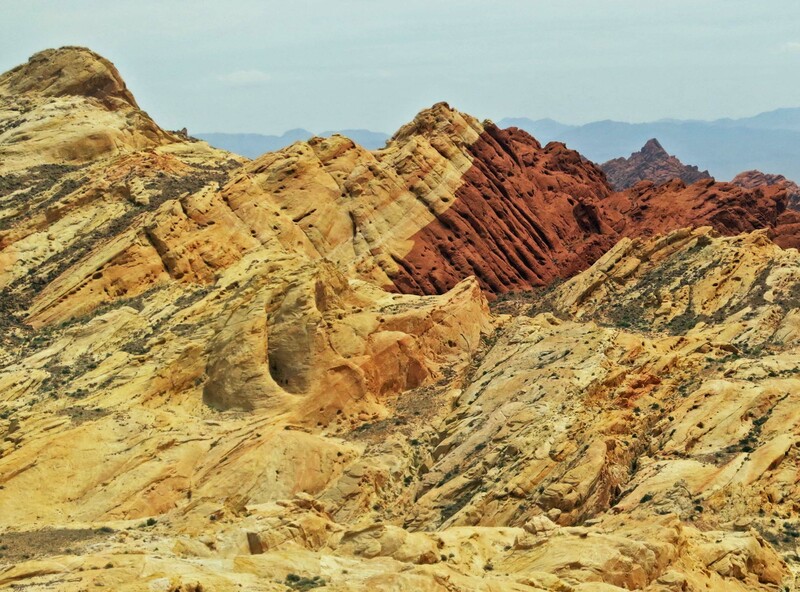 Located 58 miles northeast of Las Vegas off of I-15, the Valley of Fire’s main attraction is erosion-carved red sandstone that owes its existence to massive sand dunes that covered the region some 150 million years ago, back when dinosaurs still roamed the earth. 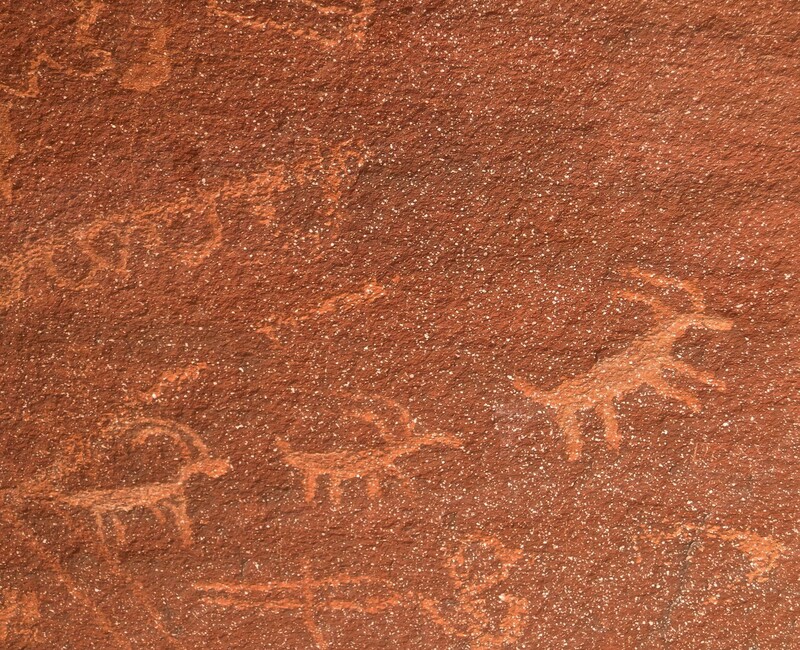 The first ‘tourists’ to visit the area were the Anasazi, who apparently dropped in on a regular basis between 300 BC and 1150 AD. 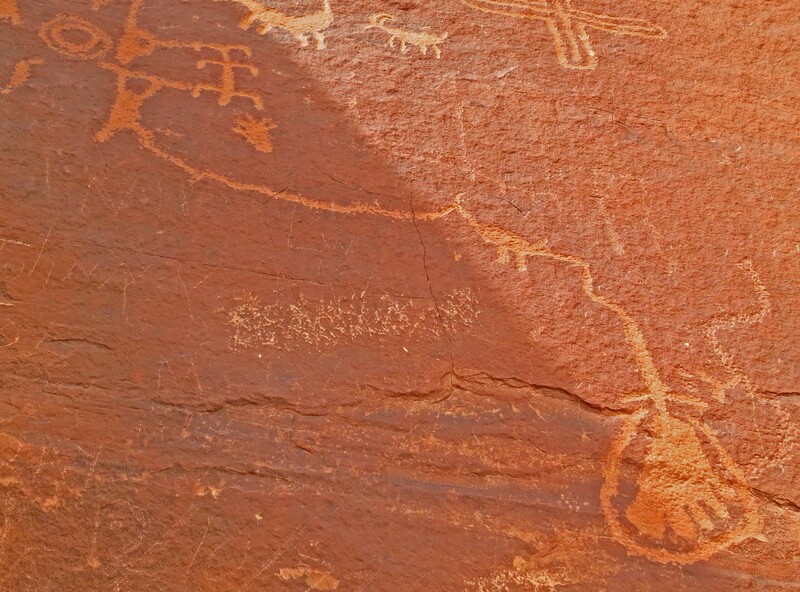 Limited water discouraged permanent settlement but they left behind numerous petroglyphs, which I will feature in another blog. 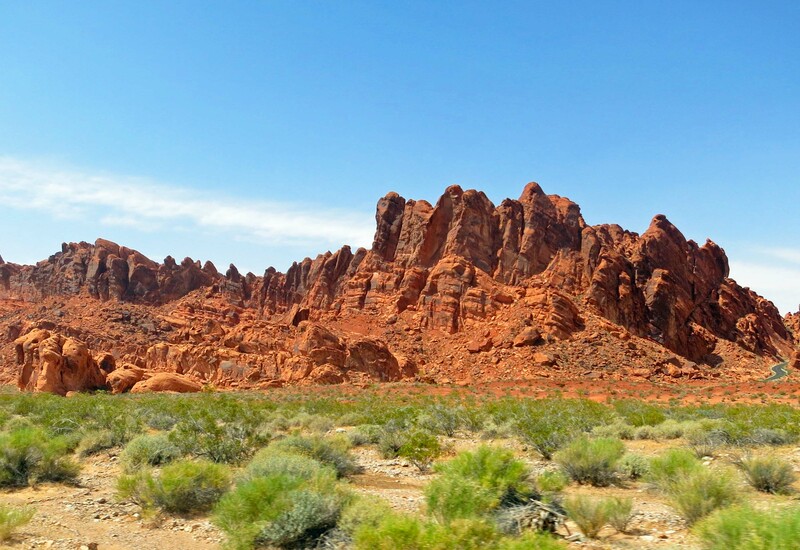 The Valley of Fire is Nevada’s oldest state park. The best way to experience it (beyond going there) is through photos. Enjoy. 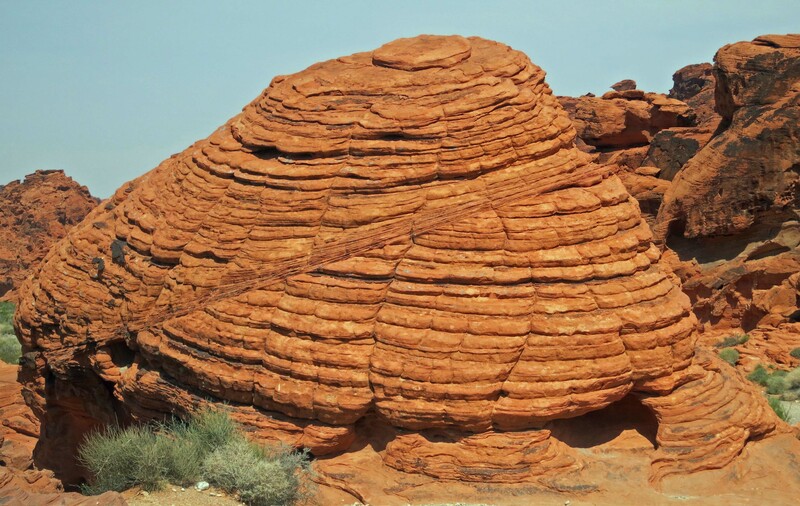 Folded and eroded red sandstone welcomes the visitor to the Valley of Fire State Park. 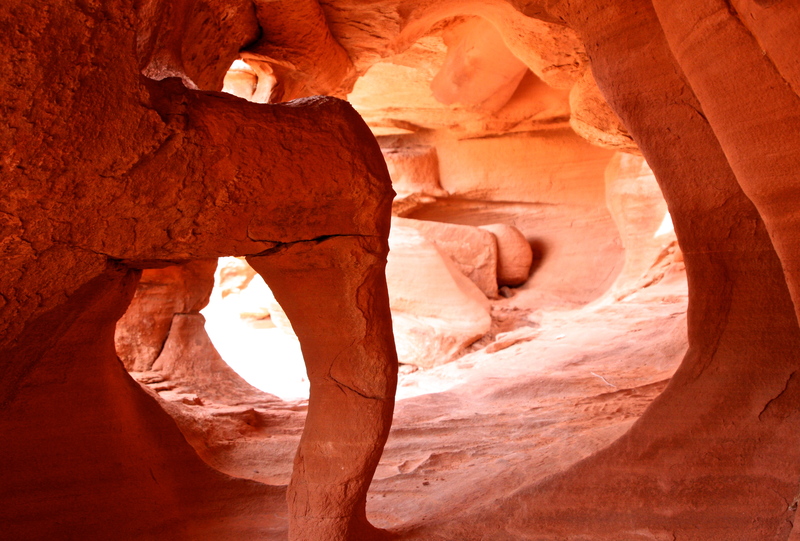 Up close, the sandstone rocks reveal a fascinating world of caves and shapes. What hides inside? Will there be treasure? Or a grumpy Indiana Jones type snake? 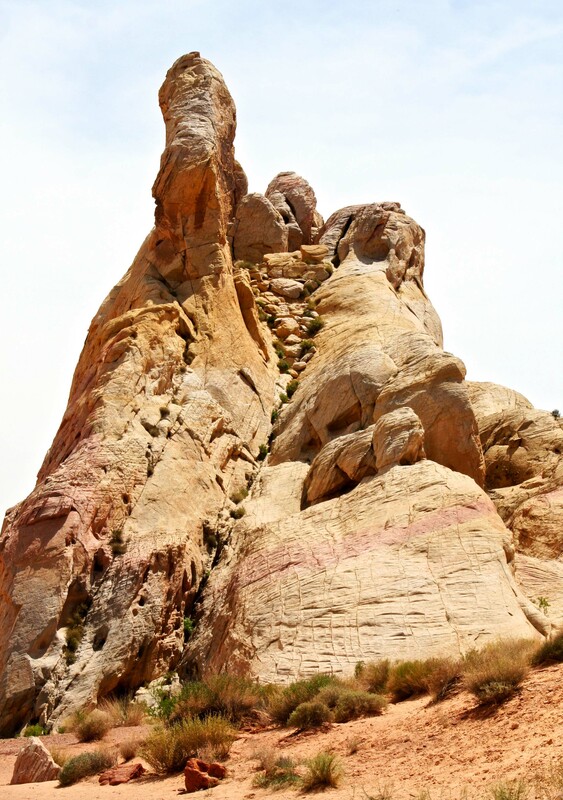 It easy to see faces and creatures in the carved sandstone. Is this a dinosaur from 150 million years ago striving to break free? 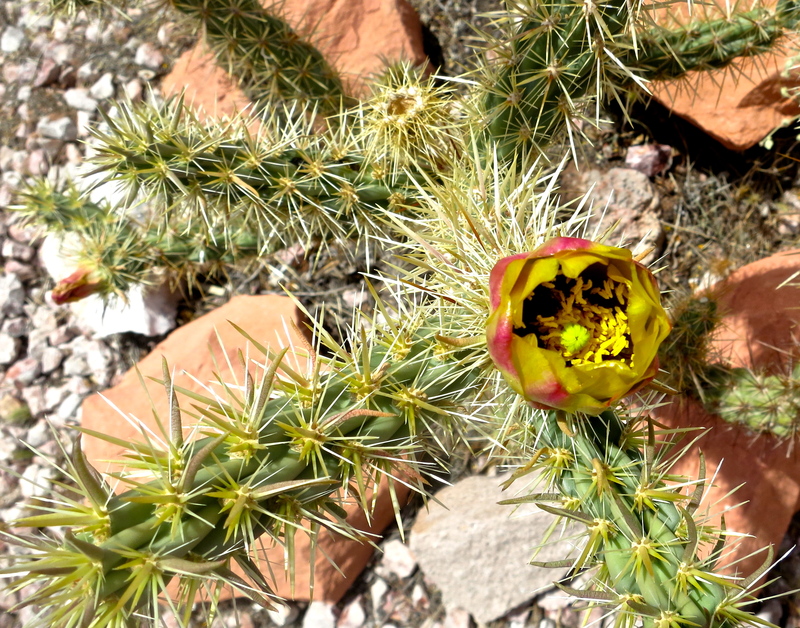 I found this and the following cacti blooming outside of the Visitor’s Center. Check out the spines. The buds are almost as pretty as the flowers. 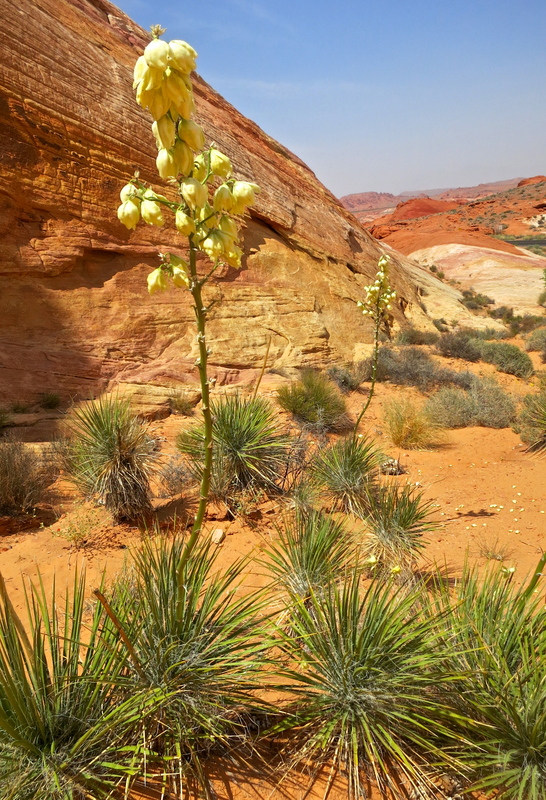 Next blog: More great scenery from the Valley of Fire State Park.